The Greater Sydney Commission acknowledges the traditional owners of the lands that include Eastern City District and the living culture of the traditional custodians of these lands. The Commission recognises that the traditional owners have occupied and cared for this Country over countless generations, and celebrates their continuing contribution to the life of Greater Sydney. 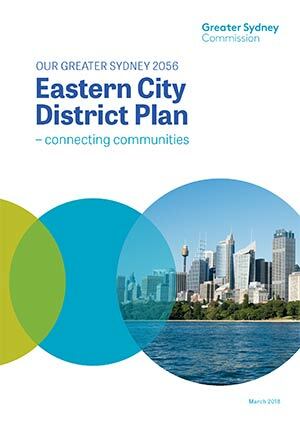 I am delighted to present the Eastern City District Plan, which sets out planning priorities and actions for improving the quality of life for residents as the District grows and changes. The District, particularly Harbour CBD, is the engine room of Greater Sydney’s economy. Of the District’s 904,500 jobs, 496,100 are in the Harbour CBD. Almost half of these are in the finance, professional, business and knowledge sectors. 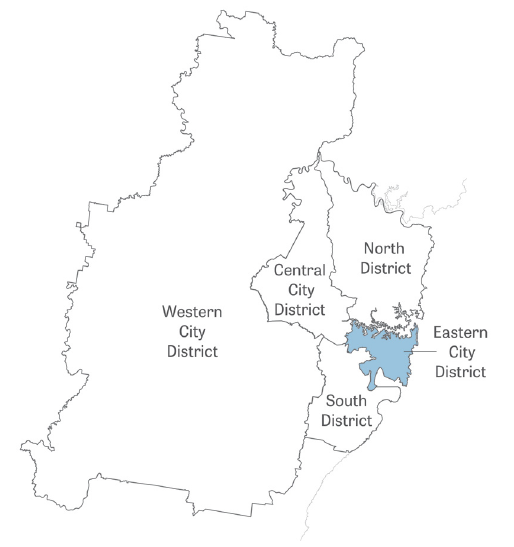 The Eastern City District is vitally important to the success and prosperity of Greater Sydney, NSW and Australia. To remain globally competitive, we need the District to be a magnet for skilled people and innovative ideas from around the world. The District must be a powerhouse of creativity and innovation at all levels. The world’s greatest cities are prosperous and great places to live and work. With the Eastern City District’s population growing from almost one million to approximately 1.34 million by 2036, we need to plan for jobs, housing and essential services such as health and education. We need to plan for demographic changes, such as strong growth in the proportions of children and the frail aged. We will continue advocating for effective infrastructure to keep pace with population growth. We will be supporting the coordination of government activity and delivery — transport, infrastructure, land use, housing, health, education, heritage and environment. We will continue working positively with the private sector and local government. 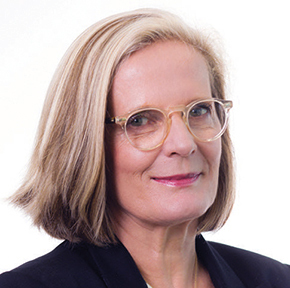 By taking a leadership role, we are bringing together public resources and expertise to create a more liveable, productive and sustainable city. 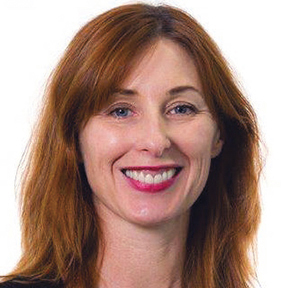 On behalf of the Greater Sydney Commission, I acknowledge the important work of councils whose submissions and feedback on the needs of their neighbourhoods, and centres and people have been invaluable. Together with the community and other stakeholders, your expertise and interest have helped to produce an inspiring and practical plan. While our District has the lowest car use for journeys to work, and the highest proportion of walking and cycling to and from work, the Eastern City District Plan will help to improve these statistics, and enable smarter solutions for moving people, goods and services. We have parks and schools with green assets, but we need more – the District Plan shows how we can make better use of existing spaces by sharing them, and how we can make better use of vacant or under-utilised spaces. It addresses the need for more artistic and creative activities and industries – day and night. Also, it addresses the need to grow our metropolitan and strategic centres, protect commercial areas from residential encroachment, and preserve and grow our urban services land, which supports our economic future. The Plan shows how we can improve access to our amazing waterways, connect our green links, and add to our street tree canopy. It also recognises the need to update ageing and constrained energy and water infrastructure and ensure urban renewal projects deliver liveability and sustainability outcomes. And finally, beyond our physical spaces, the Plan helps us to think about how to foster a stronger, more connected community and celebrate our heritage, both Indigenous and non-Indigenous. It will put us on the path of real diversity of housing choices, including affordable local housing, and better and more social housing so that people can change housing type but stay in our District. The Eastern City District Plan is part of a continuing conversation about the changes we need to create the District we want.